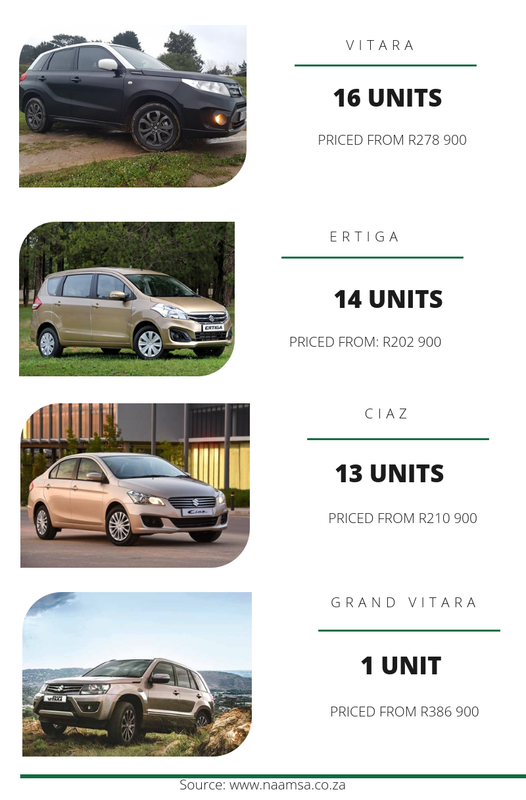 Suzuki South Africa has enjoyed good sales figures throughout 2018 and this year has started off with a bang for the Japanese automaker. With the launch of its new Swift earlier in 2018 and also the highly-anticipated fourth-generation Jimny in November, Suzuki showroom floors have been busy. The automaker ended the year with 883 cars sold with a jump to 967 units during the month of January. The Swift continues to be the brand's volume-seller with 479 units sold while the Jimny 4x4 found 116 new owners. Right on its tail is the Ignis with 115 sold and the Baleno not far behind with 102 sold. The Celerio found 83 new owners, while Suzuki sold 28 units of its new Dzire.